A man in his 40s who worked at the Fukushima nuclear plant after the 2011 disaster is the first person confirmed to have developed cancer from radiation exposure, Japan confirms. It said he helped install covers on damaged reactors at the plant from October 2012 to December 2013. He did not work at Fukushima in the weeks after the massive earthquake and tsunami destroyed the plant in March 2011, when radiation levels were the highest. The man had worked at several other nuclear plants before landing at the Fukushima plant, the ministry said. 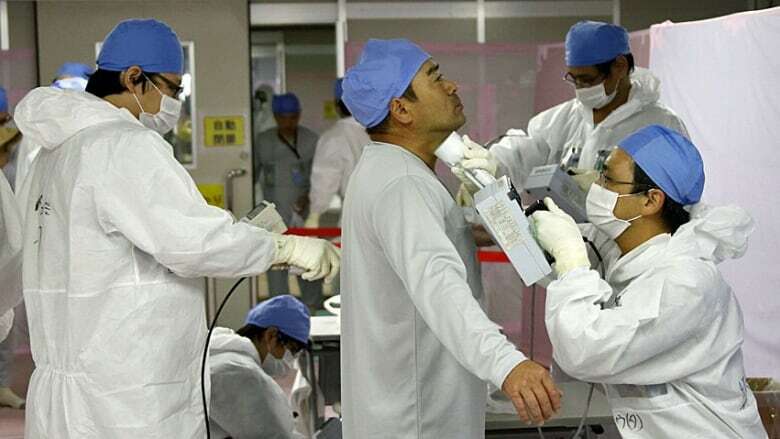 Medical experts could not determine whether his exposure at Fukushima was the direct cause of his leukemia, a ministry official said on condition of anonymity, citing sensitivity of the issue. But his total exposure of 19.8 millisievert was mostly from his work at Fukushima, the official said. Thirteen other workers in Japan's nuclear industry have been certified for government compensation for cancer and other illnesses linked to their radiation exposure at work since the 1970s, according to the ministry. Since the Fukushima crisis, 10 compensation cases have been filed, with seven being rejected and three still being examined. Since the crisis, nearly 45,000 workers have worked at the Fukushima plant, about half of them with exposure levels exceeding 5 millisievert, according to the Tokyo Electric Power Co., which operates the plant.